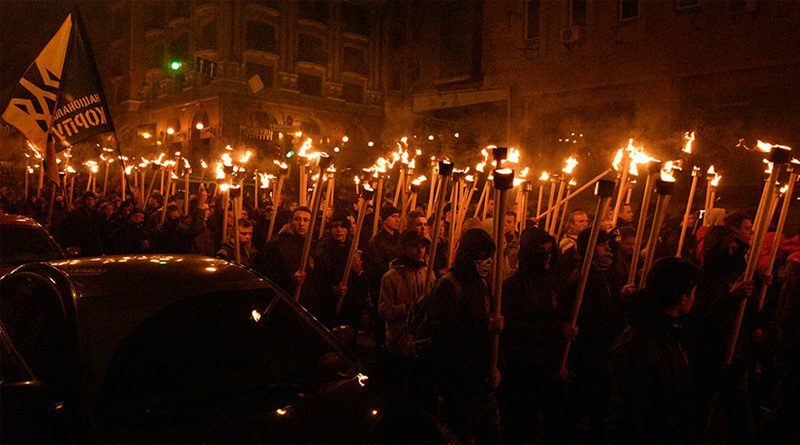 Hundreds of Ukrainian far-right radicals held a march in the center of Kiev on the 75th anniversary of the establishment the Ukrainian Insurgent Army (UPA) – a nationalist paramilitary group that actively collaborated with the Nazis. 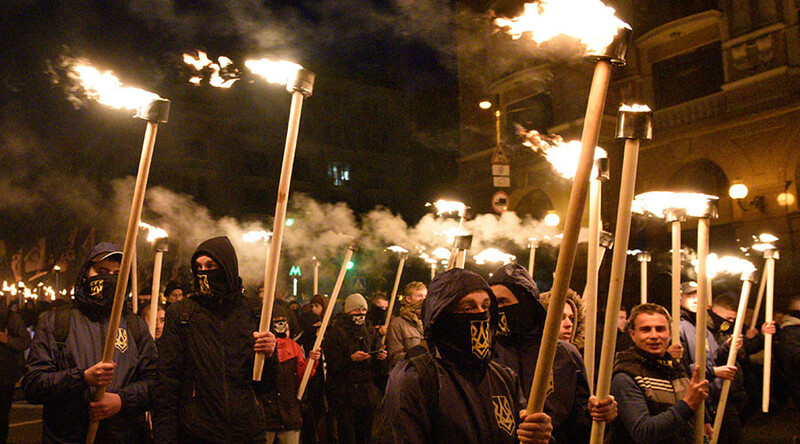 The event was mostly attended by members of the nationalist Ukrainian National Corps and Svoboda (Freedom) parties, as well as ultranationalist radicals from Pravy Sektor (Right Sector). 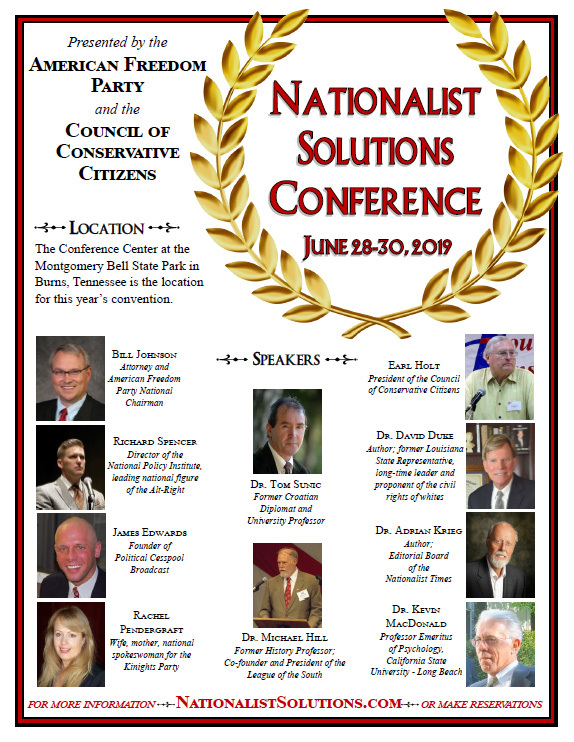 The Ukrainian National Corps party was set up in October last year as a civil platform for the Ukrainian extreme right Azov Civil Corps. Many of its members are veteran militants of the Azov Battalion, one of the ultranationalist paramilitary units involved in the conflict in the eastern Ukraine. Under the leadership of Shukhevych and Bandera, the UPA committed mass killings of Jews and Poles in western Ukraine, carrying out one of the largest ethnic cleansing operations of WWII in Volhynia and Eastern Galicia, where between 76,000 and 106,000 Poles, mainly women and children, were killed. 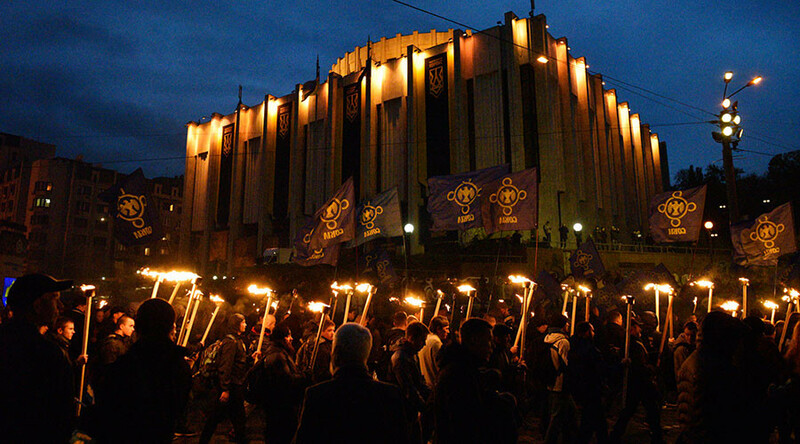 The nationalists than marched through the center of the city, holding nationalist flags and placards with the portraits of Shukhevych and Bandera, as well as various Ukrainian nationalist symbols and symbols of their nationalist parties and groups. According to Ukrainian UNIAN news agency, around 2,000 people took part in the march. However, organizers put the number at the tens of thousands, Ukrainian media reports. Demonstrators also held hundreds of lit torches, smoke pellets, and flares. The march was headed by people who took part in military action in eastern Ukraine, followed by nationalist party activists. Large numbers of police have been deployed to monitor the situation and maintain order. No incidents have been reported. Similar smaller marches were also reportedly held in other cities across Ukraine. The date of the establishment of the UPA is not only celebrated by nationalists. In 2014, following the violent Maidan coup in Kiev that overthrew the democratically-elected government of Viktor Yanukovich, October 14 was declared an official public holiday called Defender of Ukraine Day. Addressing the Ukrainian people on Saturday, Ukrainian President Petro Poroshenko said that the actions of the UPA fighters would always remain an “inspiration” and an example for future generations, as reported by UNIAN. Ukrainian authorities have erected numerous monuments and named streets in various towns honoring the UPA leaders. In 2000, Shukhevych and Bandera were posthumously awarded Hero of Ukraine medals by then-President Viktor Yuschenko, which were later annulled following condemnation from the European Parliament, as well as various Russian, Polish, and Jewish organizations. 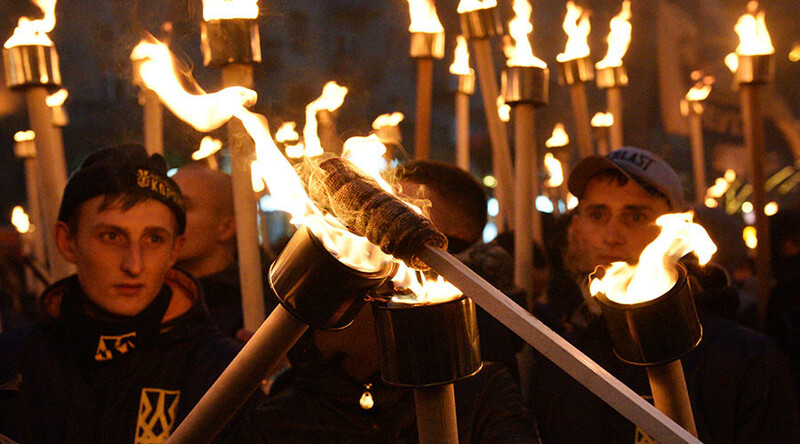 Some countries, including Russia and Poland, have repeatedly condemned Ukraine’s attempts to whitewash and glorify the nationalists who openly collaborated with the Nazis. In 2016, the Polish parliament passed a resolution labeling the crimes of both the OUN and UPA against Poles during World War II as genocide. In February 2017, Jaroslaw Kaczynski, leader of Poland’s ruling Law and Justice Party, warned that Ukraine “will not make it to Europe with Bandera,” referring to the glorification of Nazi collaborators by Kiev.